Kanchanaburi, a province in western Thailand, became world-famous after the movie “The Bridge on the River Kwai” hit screens in the 1950’s. The bridge, built by the Imperial Japanese Army during WWII, helped to join Thailand and Burma on what was known as the Death Railway. This building project was responsible for the deaths of over 80,000 laborers, 13,000 Allied POW’s and thousands of Japanese soldiers. A half century later, Youth With A Mission (YWAM) Thailand has a vision to see a very different bridge built in the same province. This new bridge would be responsible for bringing the Gospel of Jesus Christ into western Thailand - saving lives rather than taking them. Today Kanchanaburi’s rugged countryside, wild jungles, and mountain rivers draw thousands of tourists each year. It is home to some of the most pristine waterfalls and possibly the most beautiful wildlife sanctuary in Thailand. Although it is a beautiful place, approximately 800,000 people of Kanchanaburi are still waiting to experience the love of the God who created them and their surroundings. Soon after becoming a Christian in 1996, Arun Phummarin (far right), a young Thai man born in Kanchanaburi, started to dream about the transformation that Jesus could bring to his home province. 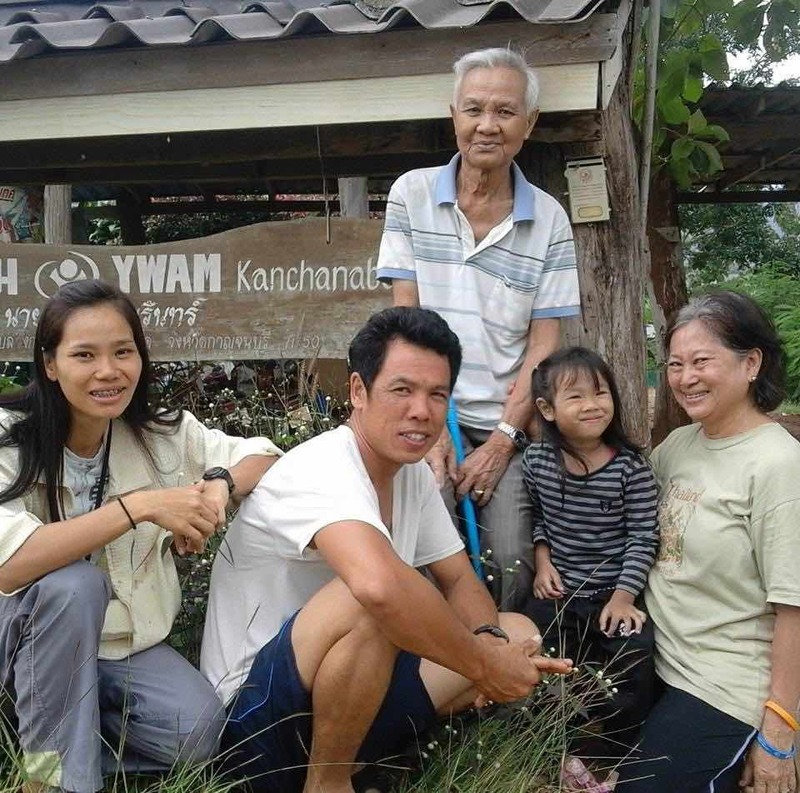 Arun and his wife, Pang (red shirt), started a new YWAM Thailand ministry in western Thailand in March 2003. They have already seen God transform the lives of Pang’s parents through their own faith, and now they believe that God is calling them to start this new project by bringing the Gospel to Arun’s family in a small village in Kanchanaburi near the Burmese border. 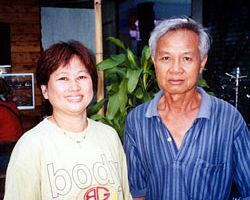 Pang's parents (At and Noot - pictured on left), who are now growing into mature Christians, have joined in the adventure as well. Their excitement to share what God has done for them is inspiring! To finish the YWAM building to use for housing and to make it available for schools to use. Use the farm as a tool for 4k in the central region, to reach the lost. Learn more about farming to be able to get more support from it. Share some experience from farming from village to village. To see all the schools around here have a worship time together, and to know God more. To share about farming with friends so they can get sufficient support from it. Resort & farmstay as a place of rest and to learn about farming. For the farm be useful for the lost and the poor. The share a place for family and friends to use long-term. To see people in Kanchanaburi from schools and projects know God more. Please don't write anything else on the check and include a separate note indicating that your donation is for "Project 3758, YWAM Kanchanaburi".